MCE will cover track days. 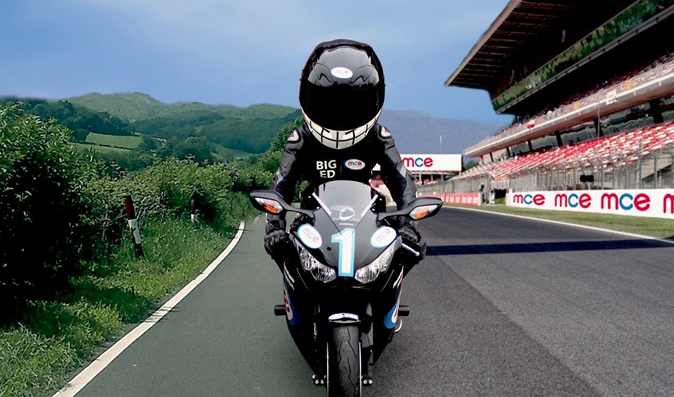 MCE Insurance, the ones with the dude with the massive head that you see at BSB, have announced that they’ll now cover you on a track day if you buy one of their fully comprehensive insurance policies. Big Ed, useless at wheelies. Traditionally, riders would have to put their crash damaged pride and joy in a van, take it up the road from a circuit and lob it onto a roundabout in the hope of claiming for a spill on the road. Not anymore. All policies will be subject to some excess and each quote will be different, but it got us thinking, does being faster on track equal a cheaper quote? Click your way to a quote here.